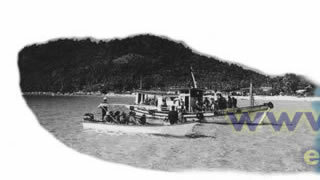 A long time ago, there are ferry, slow, and fast boat as the water transportation services, but currently there are only speed or fast boat available as the transport to the Perhentian Island. At the moment speed boat services are always available for Kuala Besut Jetty to Perhentian Island and vice versa. Other destinations are like Pulau Rawa, Redang, Susu Dara, and Lang Tengah are also available. Return trip per person. Single trips might vary. These price are for references only and subject to change by the service providers. Noted that Malaysia Marine Park conservation fee MYR 5.00 per adult and MYR 2.00 per child will be charged separatelty at the Kuala Besut Jetty before departing to Perhentian Island. Please provide your valid identity including full name and passport no. for security and safety reasons. 9:00 a.m. till 4:30 p.m.
8:00 a.m. , 12:00 noon , and 4:00 p.m. Single trip per person. Children fares are also same. 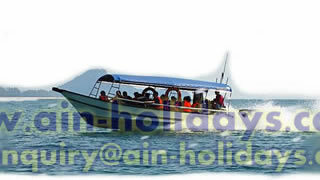 This boat are available nearby to the Perhentian Island sea side. No ticket will be issued. Note that speed boat are only able to bring you from the Kuala Besut Jetty to the nearer desired hotels but not directly to the lobby. You have to take another boat called 'water taxi' as shown above nearby the Perhentian Island sea side. There will be separate charge for water taxi which is MYR 2.00 per person without issued ticket. 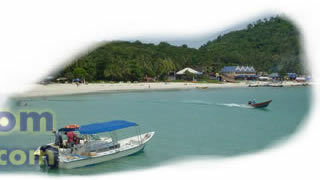 Water taxi will always available nearby the Perhentian Island sea side to bring you to your chosen hotel. You are advised to subscribe to the life insurance because it is excluded from the fares listed above. The boats do only equipped with life jackets and all tourists are compulsory to wear it appropriately for safety reasons. Smoking on the boats during the journey are prohibited because the boat fuel tank is located under the seats.